Will it take long for you to write my paper? Our policy on meeting deadlines is based on honesty and transparency. The time it takes to deliver your paper will depend on your requirements, the type of order you need and urgency. There are various time frames presented on the website among which you can choose the most suitable for completing your assignment. However, we recommend you to order a paper beforehand to give us enough time in the event we have to do extensive research. Our company guarantees to take all necessary measures to complete your paper in the agreed time frame no matter the topic. What are the services you offer and how are they priced? Our services include writing, formatting, proofreading and editing of academic papers on all topics for students at all educational levels. The price for the paper depends on the writing level, the due date your work has to be completed by, i.e. the urgency, number of pages, and order type. The writers we employ have diverse skills. Many of them are tutors or lecturers who are thoroughly assessed before they can work for us. Then our QA experts monitor and assess their performance to ensure that you will receive the highest quality papers. What measures do you take to ensure my essay is entirely original? We use the most up-to-date plagiarism detection system available to test every paper to make sure that it is 100% original. You may request a free plagiarism report to confirm the originality of your work. At the same time, if you believe that your papers contains some copied parts, you should also send us a plagiarism report from your side. Then, our supervisors will examine the issue closely. Remember that we do not tolerate plagiarized papers and we will instantly terminate the employment of any writer found engaging in this practice. What is the procedure if I am dissatisfied with the work you provide? How can I be sure that my deadline will be met? We follow a strict policy to deliver all papers according to the deadline indicated by our customers in the online order form. However, it is vital that you place your order properly and provide all the required and relevant details so that we can get your paper completed on time. Therefore, when placing an order, you need to mention the following: the topic of your academic paper, number of pages (bibliography/title page excluded), due date, citation style, your educational level, the number of sources, etc. Feel free to provide additional guidelines such as professor's notes and course material. Thus, it will be easier for our writers to work effectively. In what way do you differ from other companies? Our writing company provides custom-written papers of the best quality. We have highly skilled and experienced writers who can produce superior academic works of different types. We strive to lead the way in our field and we achieve this aim by providing more than merely a great service. We will put your mind at rest. Try to avoid service providers whose reputation is doubtful and who offer "high-quality" papers at cheap prices. The best writers cannot offer their services for poor remuneration. There are other reasons, which you can learn about in the relevant section of our website. 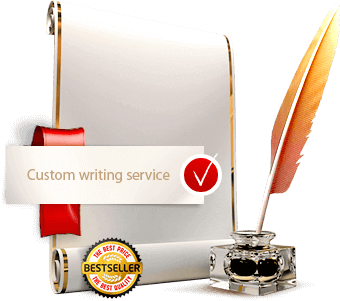 How expensive is your custom writing service? Our service is not expensive! While we are proud of the quality of our papers, we are also proud of our competitive prices. We appreciate that students often have restricted budgets. Therefore, we offer professional writing help at reasonable prices so that it is always accessible to you. Our company respects customers' confidentiality very much. We will neither disclose or share any information you provide with any other parties, nor do we resell or re-use any papers we provide to you. There is certain information we ask you for, such as your name, email address and phone number, which is used only for processing your order and improving the service we provide. Our customer support representatives may, for instance, contact you for clarification on some matter or other. Moreover, some essential information is required by PayPal to process your payment e.g. the number of your credit card. However, our representatives will not ask you to give such details. By what means can I communicate with your writer? Each customer may use the communication tab on the order page to contact the writer assigned to their order. When using your personal account, you may leave messages for our customer service representatives or your writer. You simply need to use the control panel to log in, select an order, choose the recipient(s) and post your comments. Do you follow any particular formatting rules? We can apply any formatting style you choose for your custom written papers. For example, you may want us to use APA, Chicago, Harvard, MLA, Turabian or some other style. Generally, pages are formatted in the following way: we set one inch margin on each side and make double-spacing. We use Times New Roman 12pt font. Each page contains 300 words. Our priority is to follow your guidelines and provide a paper that meets your requirements. Thus, feel free to provide us with detailed instructions on formatting your work. Please take a look at the Discount section of our website to learn more about this. Therefore, you will know whether you qualify for any discount. Alternatively, you may get in touch with our customer service representatives for more detailed information.